Credit card misuse is one of if not the leading cause of out-of-control debt amongst American consumers today. 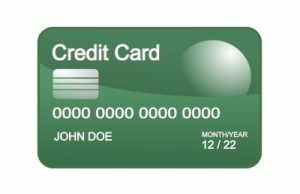 Very few people realize exactly how long it will take to pay off their credit card debt if they only make the minimum payments from month to month, let alone how much money they will be paying in the long run thanks to the incredibly high interest rates that the credit card companies charge. In fact, you can end up pay many times more in the long run than the balance that you originally charged, especially if you have to pay penalties for late or missed monthly payments. But if you have found yourself in the debt trap like so many other American have before you and will after you, don’t fall into despair or give up hope quite yet. There are solutions to your problems, in the form of loan consolidation and credit counseling. Don’t be fooled by scam artists who try and convince you that there is an easy way out of your problem? quite often they are simply trying to take advantage of someone who is in desperate need of help. The real solutions will take time and effort, but in the long run, will greatly improve your financial standing and security. And the peace of mind that comes with knowing that the future will be much much brighter thanks to your efforts today is certainly worth far more than the time and work you will be putting into managing your debt. Because that kind of peace of mind is actually priceless.